Despite the fact that I flew on American Airlines, I amazingly made it back from Orlando yesterday--we even landed twenty minutes early. Some of that Disney magic must have still been with us. We went down to the sunshine state because my husband had some business down there for The Man, so I took it as an opportunity to tag along and get a change of scenery and weather. After chilling for two days at our resort, I headed out on Thursday for eleven hours of theme park madness on my own. I spent half of the day at EPCOT and the other half at the Magic Kingdom. The last time I was at EPCOT was in the year 2000, and it hasn't changed a heck of a lot since then. I remember when the park was first built in the early 80s, and then renamed EPCOT in the early 90s--it was supposed to be a futuristic place that spotlighted new technologies and innovations. 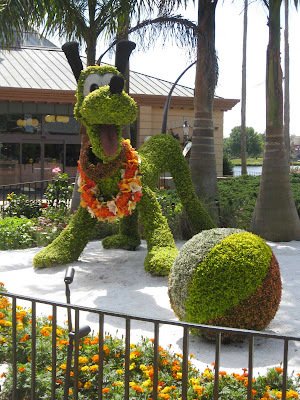 (EPCOT stands for Experimental Prototype Community of Tomorrow... Walt Disney had originally envisioned it as an actual town where people would live and where businesses could be based. That didn't quite work out.) When I visited this park as a kid, it did seem kind of cool. But now it just seems dated. 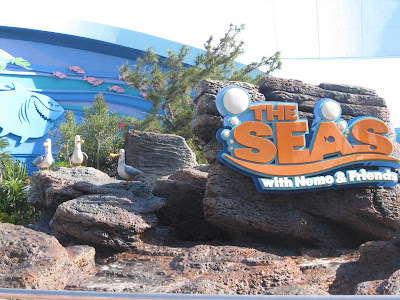 I went there this time for one reason and one reason only: to ride the new Finding Nemo ride. I have a sneaking suspicion that they placed this ride in EPCOT, instead of where it more logically would fit in the Magic Kingdom, to keep people coming to the park. I made a beeline for the ride as soon as I got there (which was shortly after the park opened at 9 AM) and was happy to find that there was hardly any line at all. The seagulls above move and shout "Mine!" like in the movie. I barely made it out of the ride alive! Since I got through Nemo so quickly, I decided to keep going and tried the new Soarin' ride. Basically it's like you're in a hang glider and you're flying over all of these scenic landscapes. You're in front of a gigantic movie screen and your feet are dangling down as they raise all of the seats into the air, so it does feel pretty real. However, I kept being distracted by little flecks on the film, and I thought they cut between scenes too quickly, which ruined the illusion that you were actually soaring. You can't just go from being over the ocean to being over the mountains in a split second! I actually liked waiting in line (about 40 minutes) for Soarin' better than the ride itself. They had this giant screen that projected outlines of everyone standing in line, and then you could move things on the screen with your hands--it was wild. I am the figure a little bit to the right of the center of the picture below, with a bag over my shoulder. 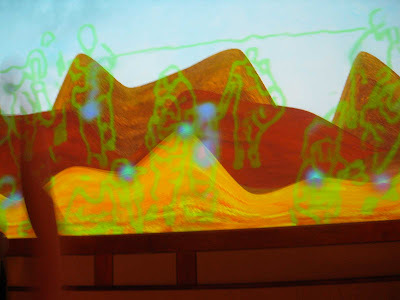 The blue spots are where peoples' hands are moving the rows of "mountains" projected onto the screen. It really does not take much to amuse me. After Soarin', I got a kiddie meal for lunch. My husband said that this picture made him ill. What? Chocolate pudding and carrots don't mix? I then went on Imagination! and Maelstrom (the ride located within the Norway exhibit). There were some teenagers in the boat with me for Maelstrom, and they kept yelling, "Help me Lord JEEEEESSSSSSUS!" I actually found it pretty funny because it is not a scary ride, at least not if you're above the age of 5. That was pretty much it for me at EPCOT. 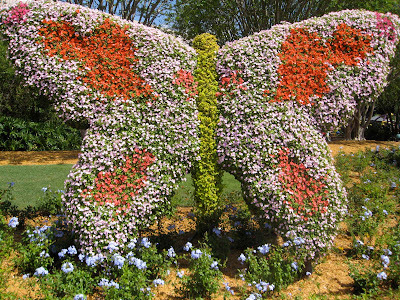 By 1 PM I headed over to the Magic Kingdom, though I did really enjoy the International Flower and Garden Show displays that were out throughout the park at EPCOT on my way out. Have to say, I agree with your husband. That meal looks awful. EPCOT was so lame when I was a kid! There was nothing there. Did they still have all the country places where you could eat different foods? I hated that...I probably would like it now though. Very scary. 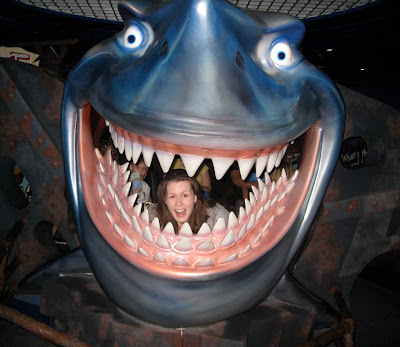 Your photos of Epcot are practically the exact same as the ones from our trip last week, down to the pose in the mouth of the Nemo shark! The best thing I did at Epcot was the swim with the dolphins program. It has always been a dream of mine to do this, and it did not disappoint. The park, itself, however was pretty much a yawner except for the "Mission to Space" ride--did you go on it?--and "Soarin." We actually thought some of the best rides were at "Animal Kingdom"--the new "Expedition to Everest" was awesome (kind of like the Mattehorn on steroids) and "Disney-Hollywood Studios"--we loved the "Hollywood Tower of Terror" and the new stunt show, and getting a chance to learn now to sketch some of the Disney characters in an animation class. I didn't do the Nemo ride while I was there, but I caught the Nemo musical. It was actually really good - I hope it comes to Broadway. It's already better than The Little Mermaid (from what I hear) and Tarzan. I thought the best part about Soarin' was the scents though the ocean smell was lost on me. I haven't been there in many years, so they may have changed it by now. The flowers look really neat, that would probably have been my favorite part of the day. I agree the Nemo musical was amazing. Its a shame you missed the golf ball e its all changed now, as you go around they take your picture and the tv in front of you has a touch screen so near the end you answer all these questions like if you want to live in space or underwater etc. Then at the end it puts the picture of your head on a cartoon body and lives out the answers you put to the questions!!!! Its very funny, but they must do the cut and paste very quick because half of my head was missing!!!! 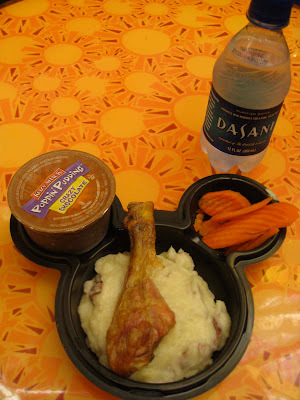 Did you get the "Lost" meal in Disney Studios? Cinematicallycorrect - Yes, they still have the "world showcase" with all the countries. Now that I have traveled to many of the countries they have areas for, I feel like they kind of went the stereotypical route for each place, but I guess that's to be expected. Another e - I didn't go on Mission: Space because I heard how intense it was... I don't like those kind of rides where you're enclosed and it's a simulation. I didn't know about the dolphin thing... that is very cool! I have been to the Holllywood Studios before (when it was named MGM) and did everything there (including Tower of Terror, which I don't think I would do again now because I'm too old! ), so I didn't go back there this time. But I did go to Animal Kingdom, so I will post about that soon. 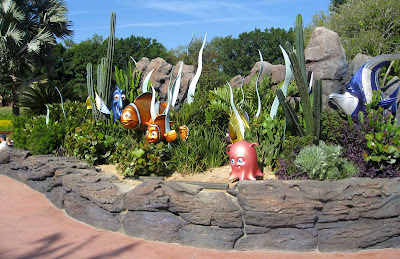 AT - I did see the Nemo musical (that's in Animal Kingdom)... will write about that soon... I agree that it was very good. I forgot about the Soarin' scents! They were so subtle I wasn't sure if my mind was playing tricks on me. Anonymous - That crazy song is the only reason I went on that ride again, and they did change it! The "Imaaaaaaginaaa-tion!" part is only for like 10 seconds at the very end. That one guy that had a hat and beard who was always with Figment isn't even in it anymore. I was disappointed. Glen - Hmmm, it's weird, the ride was closed a month ago when my good friend went, too... I wonder if something is wrong with it now? I definitely would've gone on it had it been opened and now am disappointed that I didn't get to see the enhancements... 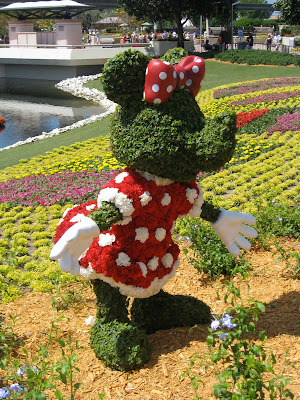 I doubt I will go back to EPCOT again, maybe ever! I didn't go to the Studios but heard about the Lost meal... too funny. 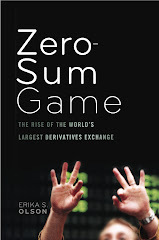 Did YOU get it? No didnt get it I had already ordered my meal before I saw it and the wife thought it was a step too far to get a 2nd meal just because it was 'Lost' related. We are in the process of a divorce as we speak! 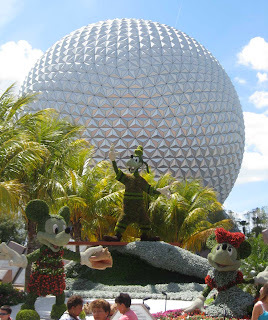 We went on the ride in the golf ball at Epcot last week--I think on Saturday and then again on the following Thursday. Our daughter wanted to go on it again because of the part at the end where the computer has your picture pasted in and it shows you your future world based on questions you answer at the beginning of the ride. That was really cool. They also changed many of the settings and Judy Dench is the narrator. It's too bad you missed that ride, and weird that it was closed. Awh - you should have done Mission Space. It's no worse than the Spidey ride at Islands of Adventure. They even have a separate line for wusses...er, I mean those who are sensitive to motion simulation rides. No Pudge Brownies... The Perfect Food? 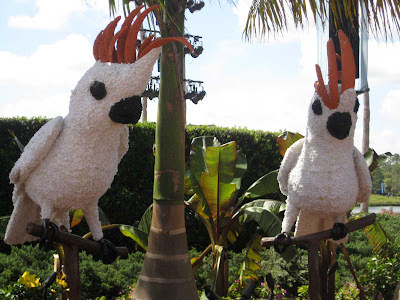 Islands of Adventure: Best Theme Park Ever? No Shamu For Me, But What About ShamWow? That's Not That Much Time. Yay for Lizards! Boo for "Line Rage." Would That Make Her Mrs. Z?